I was in Los Angeles back in June 2017 after being in Hawaii and experiencing the fantastic Hawaiian Airlines, you can read about that right here. 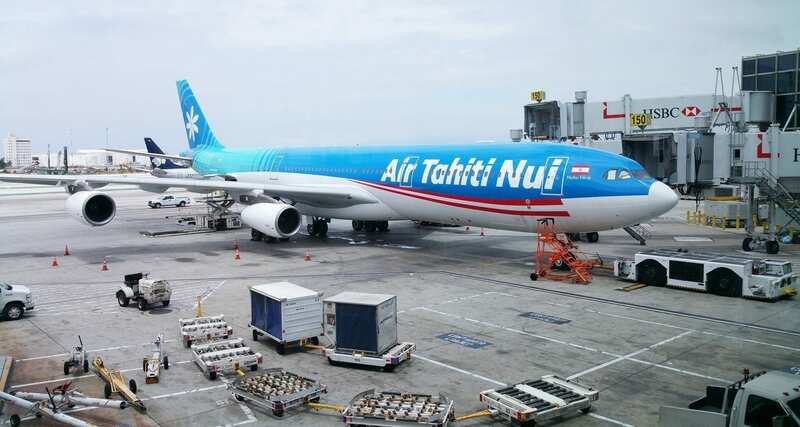 I’ve only just realised that I never wrote up my review of Air Tahiti, I was looking to fly from LA to Paris and Air Tahiti had an excellent fare in economy. I wish I were flying the other way to Tahiti, but that’s for another time. My flight from LA to Paris would be around 11 hours, and I was in economy class for this journey. 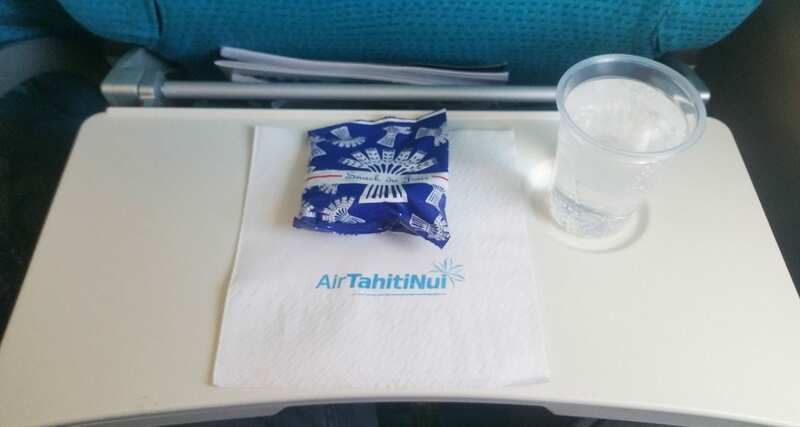 I didn’t know what to expect flying Air Tahiti Nui, but from what I had read they were pretty good to fly with. Airbus A340 for the journey from LA to Paris. First up, the seats. My goodness, they were uncomfortable! And the crew, very mediocre with service and a slight bit of attitude thrown in. Maybe they were tired; I get it, travelling is tiring. But does it hurt to smile? Drink and snack service before the meal. The meal itself looked great though, and you could choose from two main options. Entree: Mixed salad with shrimps. Choice of mains: Pan-fried salmon with caper sauce served with semolina and vegetables, or Oriental chicken served with basmati rice. What impressed me most was the number of shrimps and the salmon portion on the meal tray, the salmon portion was substantial. You don’t get fed these sorts of meals in economy class that often. 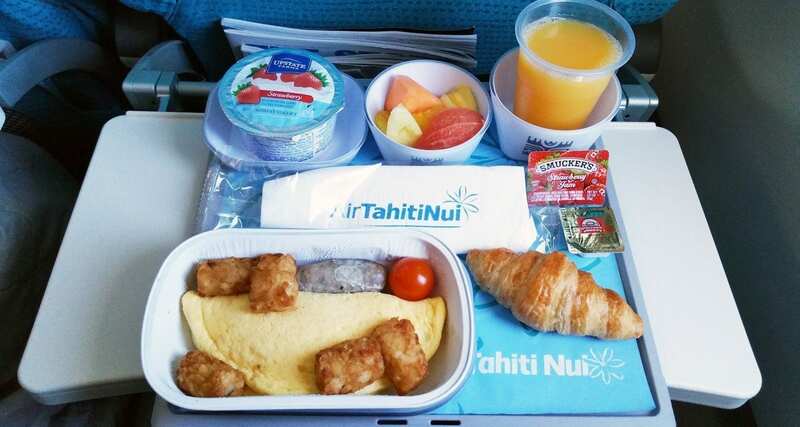 So kudos to the airline for spending a bit of money and dishing out some decent meals in economy class. A few hours before landing in Paris it was breakfast time, and the airline served a hot breakfast. Hot Breakfast: Cheese and ham omelette with chicken sausage and potato croquettes. Fresh OJ, croissant and fresh fruit. The breakfast was served a lot warmer than the previous meal, and it was quite good too. Nothing surprising, but not horrid that’s for sure. All in all, it was a pretty good experience with the airline, I just wish their inflight entertainment was better and their seats more comfortable.